Natasha is a seasoned and highly sought-after homicide trial attorney. She has zealously represented individuals charged with the most heinous of crimes that have included triple homicide, double homicide, felony murder, premeditated murder, second-degree murder and manslaughter. No case is too big or too complex for her to undertake. She has a keen attention to detail and uncanny trial instinct that has garnered her a reputation from both the defense and prosecution bar of being one of the best criminal defense attorneys in Tucson. There are four different types of homicides in Arizona. The most serious type of homicide is first degree murder. First degree murder is typically charged when one person kills another person with premeditation. First degree murder can also be charged under the felony murder rule where someone dies during the course of committing a felony. If the state does not feel it can prove premeditation or the death did not occur during the commission of a felony, second-degree murder charges are typically filed. The sentence imposed for first and second degree murder can be more than 25 years of prison. Such a sentence, which could equate to life for many, commands the best legal representation one can afford. 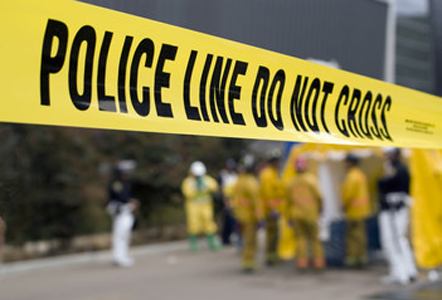 Other homicide charges commonly seen in Arizona are manslaughter and negligent homicide. The most common is manslaughter which can be charged for heat of passion murder, intentionally providing the means for someone to commit suicide, recklessly causing the death of another, and committing a murder while being threatened to do so with unlawful deadly physical force. Although the punishment is not as severe as first degree murder, a diligent and aggressive attorney can make a big difference in the outcome of a case. No matter what type of homicide is being charged, they are almost always high-profile cases and will be featured regularly in the news. You want an attorney who will not only defend you in court but will also defend you in the media as the case progresses. Natasha is that attorney. With over 17 years of experience handling some of Tucson’s most high-profile murder cases, she is the representative you want deflecting any negative media attention. In addition, Natasha is a Network Affiliated Attorney for the Armed Citizens’ Legal Defense Network. She strongly supports and recommends that anyone who feels they may need to use self-defense to protect themselves or someone else, should become a member of this group. Having represented numerous individuals who used a weapon in self-defense, Natasha firmly believes that the peace of mind in knowing you will receive top-notch legal representation as a member is well worth the small annual fee. If you are charged with a homicide and you feel you have a defense, Natasha will work closely with you and your witnesses to develop your defense. Her creativity and cunning trial skills make her a prosecutor’s worse nightmare and her client’s best ally.